Deviled eggs are a American classic. 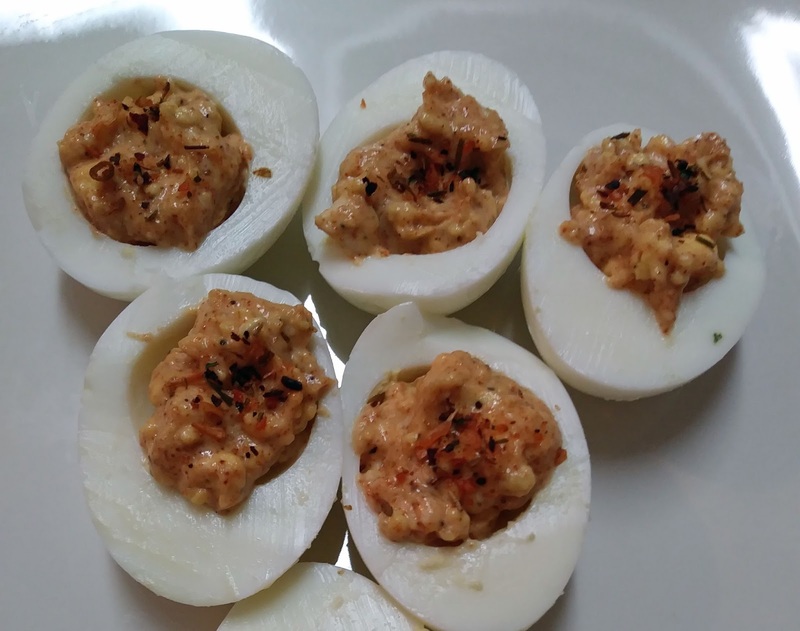 Whether your entertaining for the holidays, or cooking a special dinner for the family, everyone needs a few deviled egg recipes, so why not add this Easy Classic Deviled Egg recipe to your collection. Cut eggs lengthwise in half. Place yolks in a bowl. Reserve egg whites. Using a fork mash yolks. Add mayonnaise, salt, pepper and paprika, mix well. Spoon 1 tablespoon egg mixture into each egg white half. Sprinkle each egg white half with bacon and chive seasoning. Cover and refrigerate until ready to serve.